Hailed as a landmark book when it first appeared in 1980, Women Who Kill was reissued in a 30th anniversary edition by the Feminist Press; it’s the first title in a series of Contemporary Feminist Classics. In a new introduction, Ann Jones brings the book and the issues it raises up to date. Women Who Kill is not simply a study of women murderers in America. It is a social history of women in the United States from colonial times to the present told through the often tragic or desperate—and fascinating—stories of women driven to kill. Unlike men, who are apt to stab a total stranger in a drunken brawl or run amok with a high-powered rifle, women rarely resort to murder; but when they do, they are likely to kill their intimates—husbands, lovers, or children. 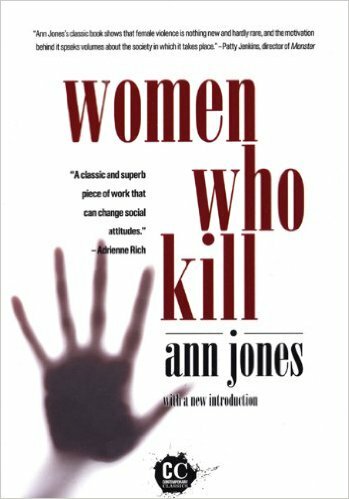 Taking such homicidal patterns as “shadows of profound cultural deformities,” Ann Jones explores what they reflect about women and our culture. Informed by meticulous research, Women Who Kill considers notorious women such as axe-murderer Lizzie Borden, acquitted of killing her parents, Belle Gunness, the Indiana housewife turned serial killer, Ruth Snyder, the “adulteress” electrocuted for the murder of her husband, and Jean Harris, convicted of shooting her lover, the “Scarsdale Diet doctor.” But there are dozens of unknown women in these pages, women from all walks of life, compelled to violence by their times, then lost to history. From crimes of infanticide in colonial days through the poisoning of husbands in the nineteenth century to the battered wives who fight back today, Ann Jones recounts tales of crime and punishment that reveal hard truths about American society and woman’s place in it. “Ann Jones’s important book shows us the world as if women mattered . . .